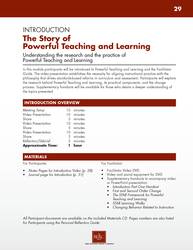 The Powerful Teaching and Learning Facilitator Guide was created for education professionals who are interested in sharing the research-based STAR Framework with their colleagues. 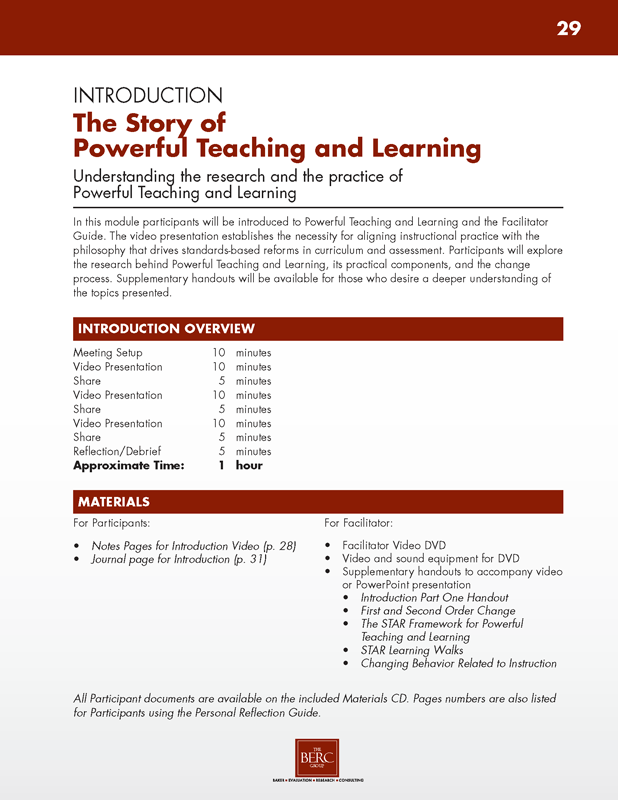 Training unfolds over a series of 10 modules that fully support a professional learning community (PLC) that is focused on improving teaching and learning. 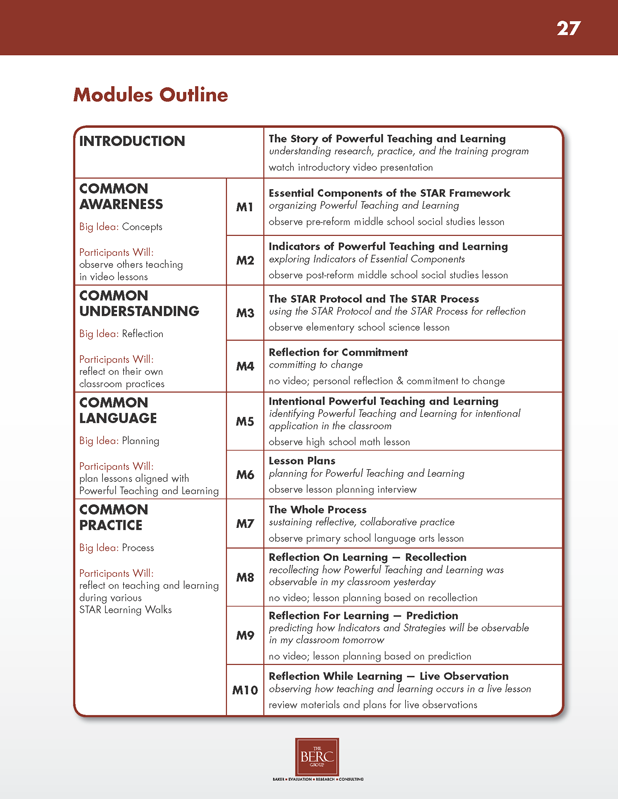 Module lessons are designed to model Powerful Teaching and Learning for participants during each session. 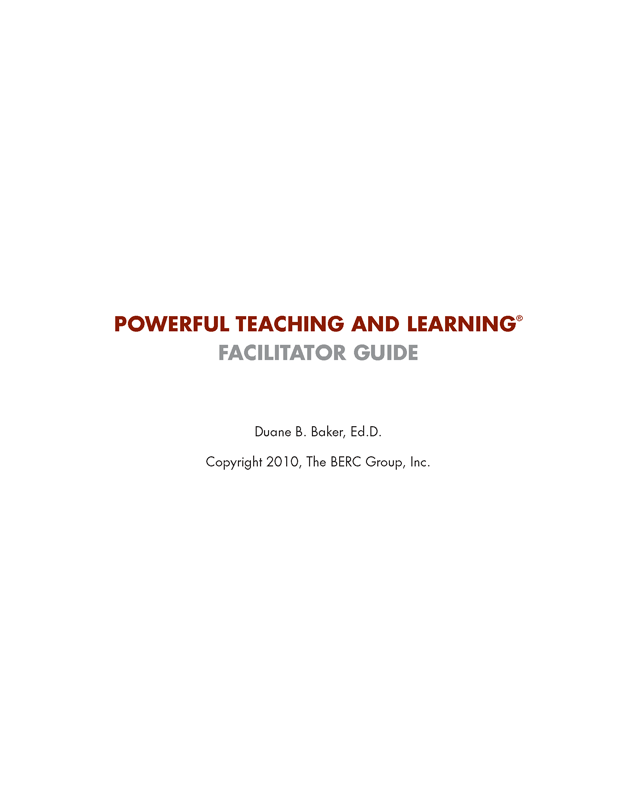 This Facilitator Guide is intended to be used in conjunction with the Powerful Teaching and Learning® Personal Reflection Guide (PRG). 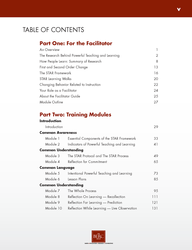 The four sections of the Facilitator Guide reflect the four developmental stages of the instructional change process. 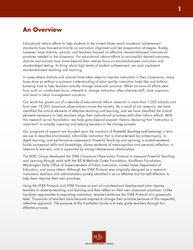 Examine the concepts that underlie effective classroom practice. Align instruction with the philosophy that all students must meet standards. 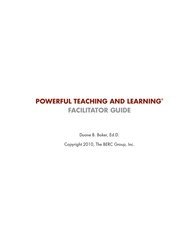 Learn to plan lessons in which Powerful Teaching and Learning occurs. Reflective dialogue and planning become part of your instructional routines. Each module opens with an Overview page to help the facilitator prepare by summarizing the purpose, focus, and content of the module and detailing required time and materials. 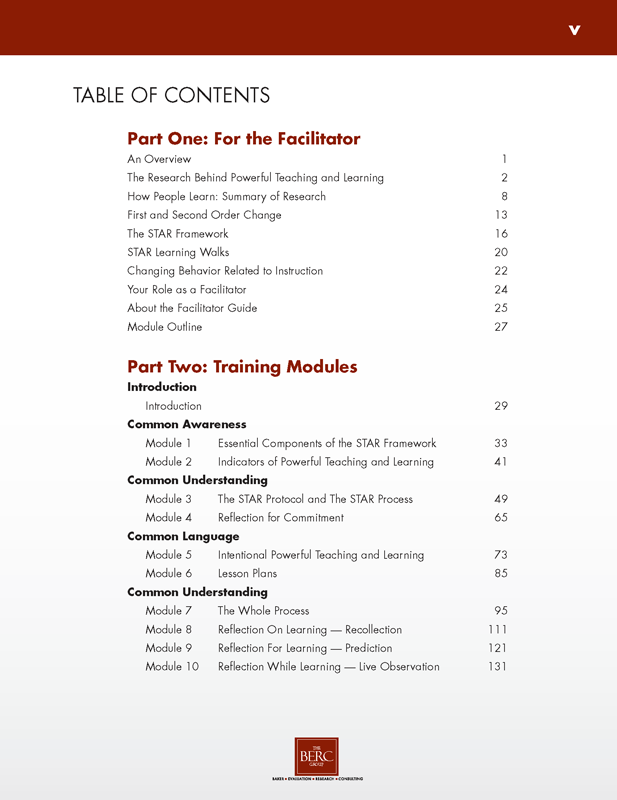 The Module Outline provides a guideline for moving participants through each training activity in the module. 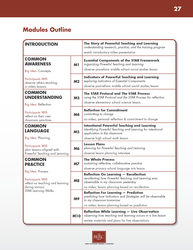 A Lesson Pedagogy table shows the facilitator ways in which each training module aligns with the Essential Components of Powerful Teaching and Learning by listing Indicators manifested by each activity. 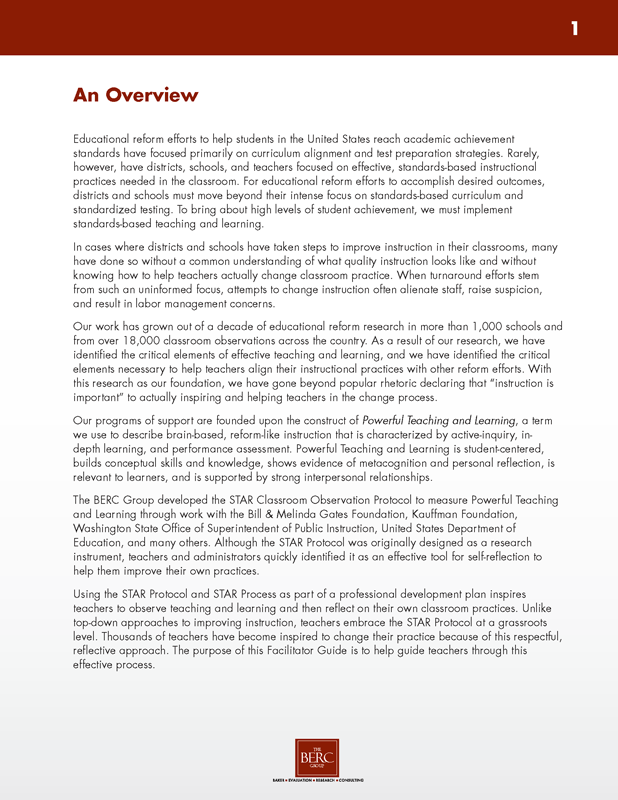 Modeled after our Lesson Planning Template, the Lesson Pedagogy table will help the facilitator support participants as they begin to develop and align their own lesson plans. 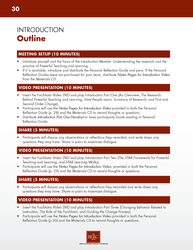 All Handouts necessary for completion are included in each module. These materials are also available in digital form on the included Resource CD, to be printed as handouts for participants not using the PRG. Modules conclude with a Notes page for the facilitator to record their own reflections throughout the training.